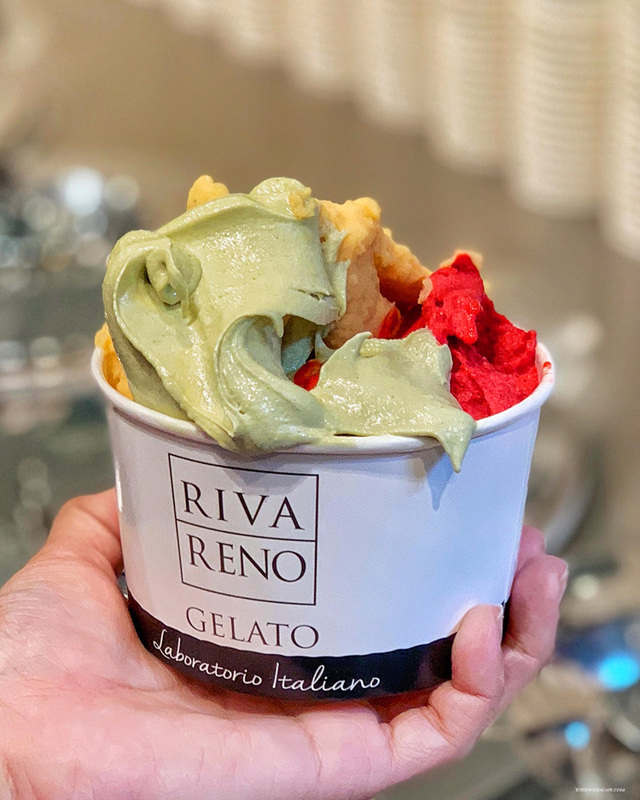 If you follow our Instagram, you might have probably noticed that we went to Bali earlier this month to join the opening event of RivaReno Gelato Bali! We were very excited to be there as both of us are huge fans of (authentic Italian) gelato. 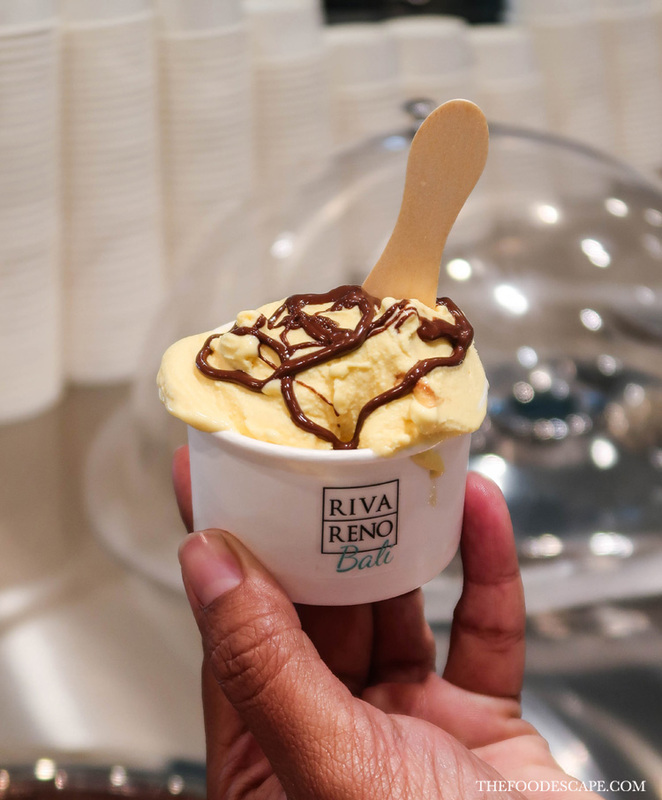 Although we had never tried RivaReno’s gelato before, we have to say that we had high expectation that we were gonna try the so-called Italy’s Best Gelato! 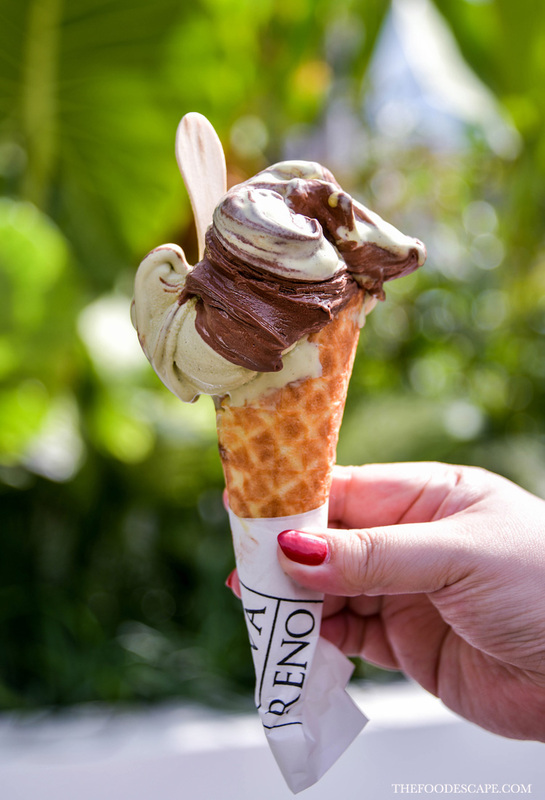 RivaReno Gelato now in Bali – Deadly combination of Cremino Dark & Pistacchio Gelato! 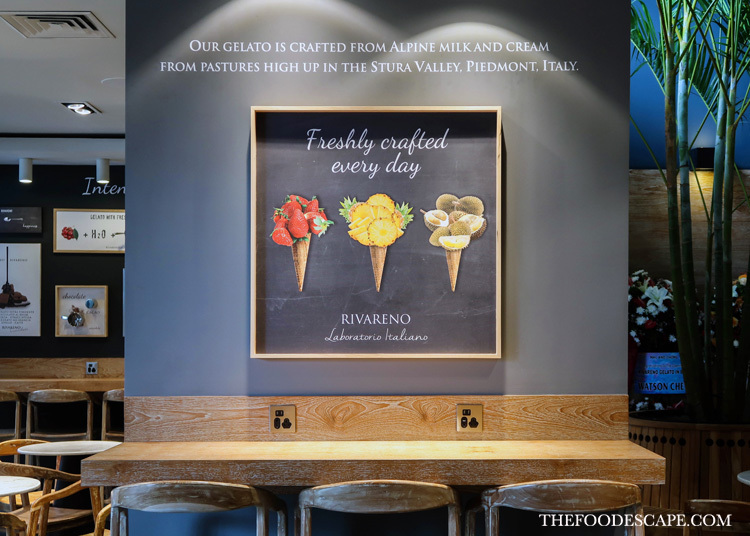 RivaReno Gelato originates from Bologna, the gastronomic capital of Italy – and the world, or so to speak. The name RivaReno wants to pay homage to Bologna (since Bologna is located on the shores of the river Reno). 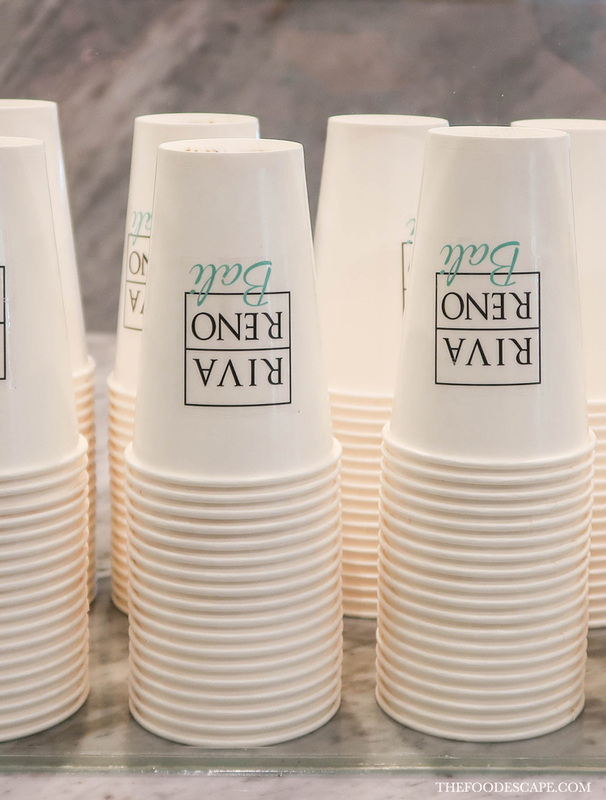 The brand was created by 4 friends who are: a famous gelato maker, a former BBC journalist, a former Italian car executive, and a lawyer. 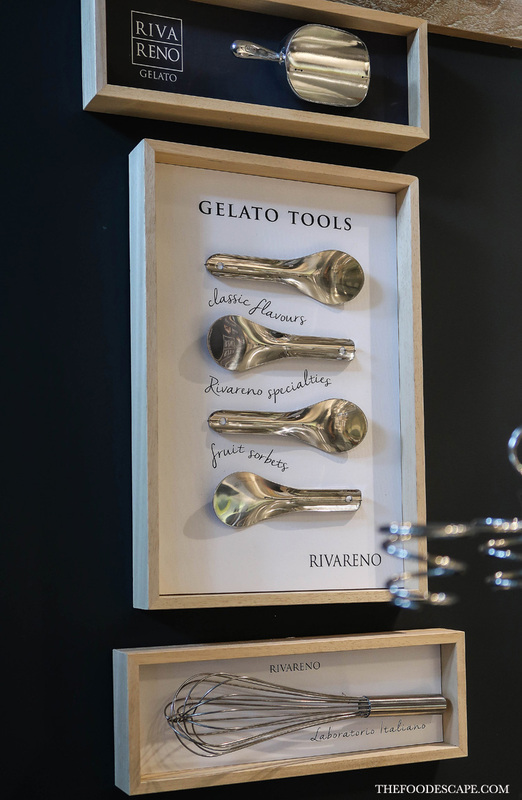 These 4 founders had for a long time wished to produce gelato with great quality and such goal was finally pursued with the first RivaReno store opening in via Col di Lana, Milan in 2005. 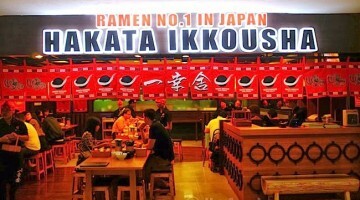 Nowadays, they have many stores across Italy, Australia, Malta, Spain, and now – BALI! 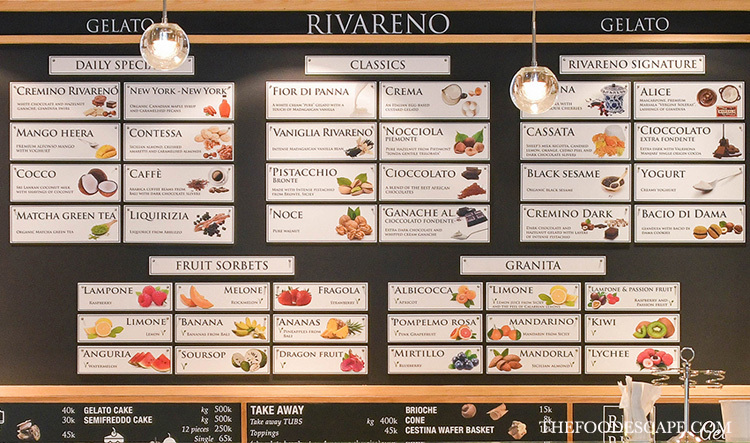 RivaReno stores always have gelato production lab, where all their gelato is made fresh daily, with recipes from the best culinary traditions of Emilia, which clearly distinguishes itself for unique product in texture and taste. 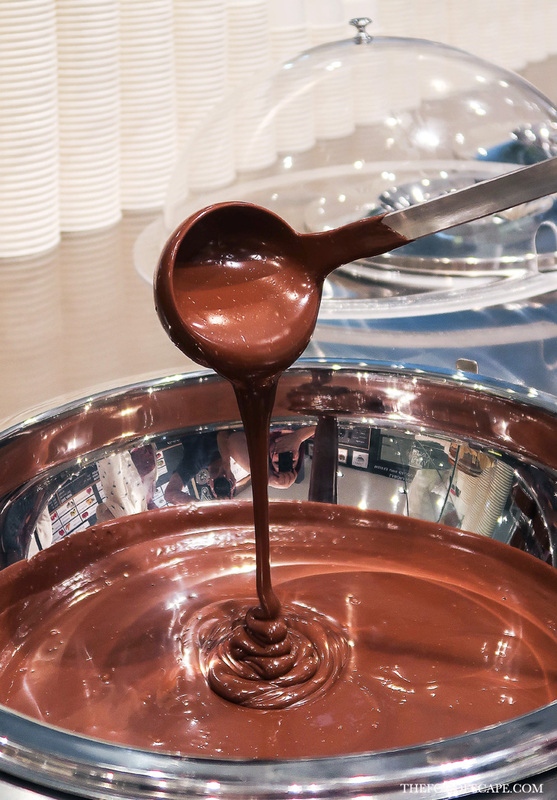 As a recognition to their high quality gelato, RivaReno have received many awards such as; “Miglior Gelateria d’Italia” (Best Gelato in Italy), sponsored by the association Golosaria, “Maestri del Gusto” (Master of Taste) by Slow Food (one of the leading international organizations for the promotion of high quality healthy food and biodiversity), many Certificates of Excellence by TripAdvisor, and many more. 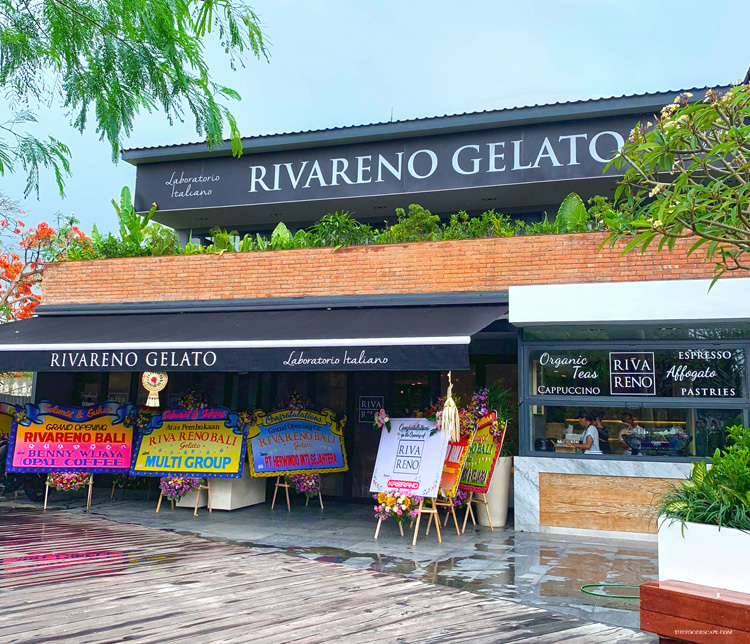 RivaReno Gelato Bali is located in Petitenget area, right next to the sea (Petitenget Beach), makes it an ideal stop to satisfy your cravings for yummy gelato. 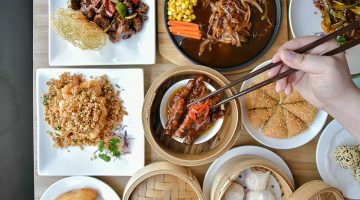 In case you are wondering where the exact location is, the store is actually near all the hot spots in the Seminyak neighborhood, near to Motel Mexicola, Sea Circus or Kim Soo. 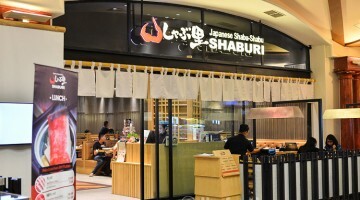 The store is big and spacious, fully air-conditioned, with cozy chairs and electrical outlets that surely can guarantee your comfort! 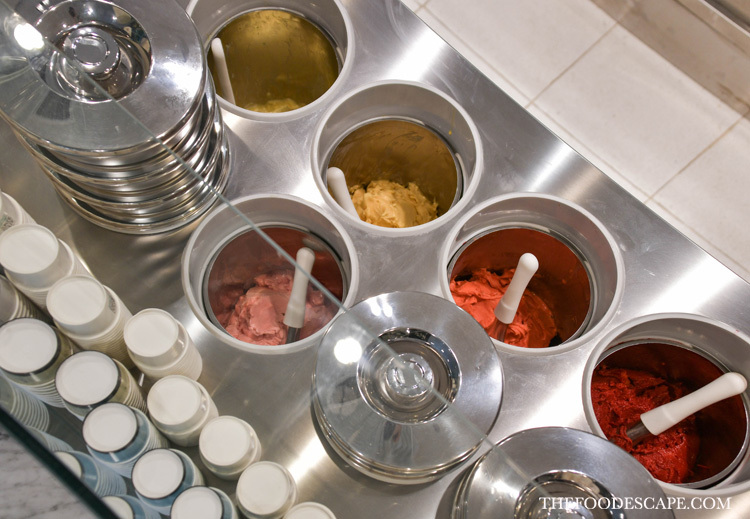 Walk straight to the counter and treat yourselves some gelato! 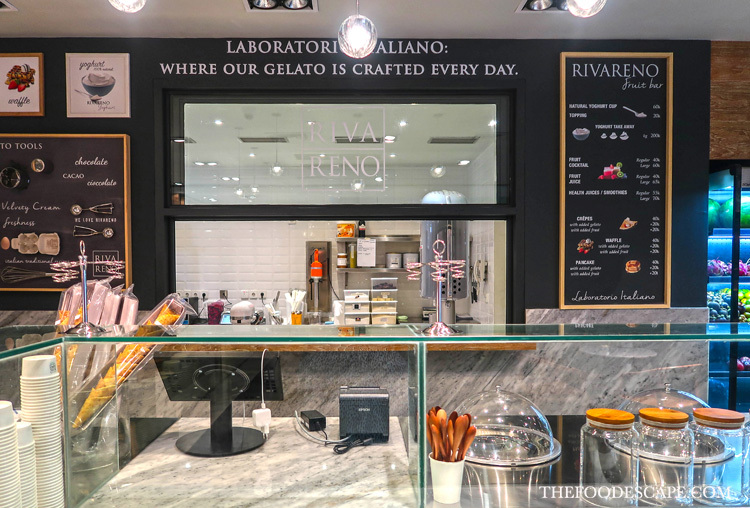 RivaReno makes their gelato freshly everyday in their lab inside their stores. 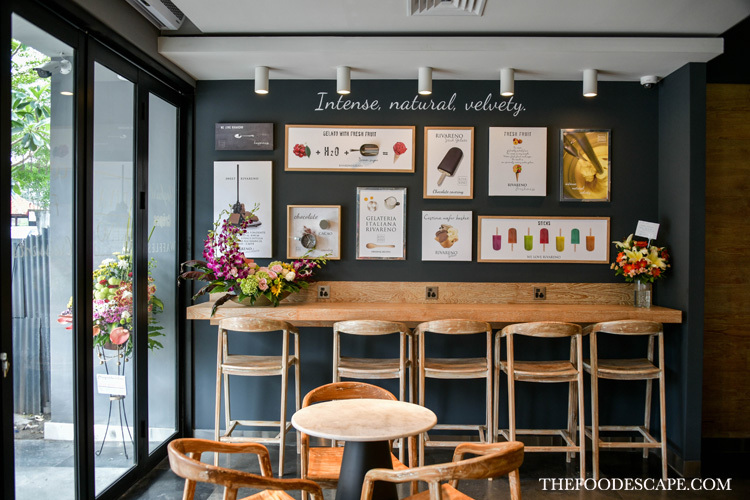 Without any preservatives, antioxidants, hydrogenated fats, artificial colourings, monoglycerides, diglycerides, and other nasty chemicals, and using only Alpine milk and cream, their gelato have the smooth, mousse-like, velvety texture that will definitely blow your mind away! 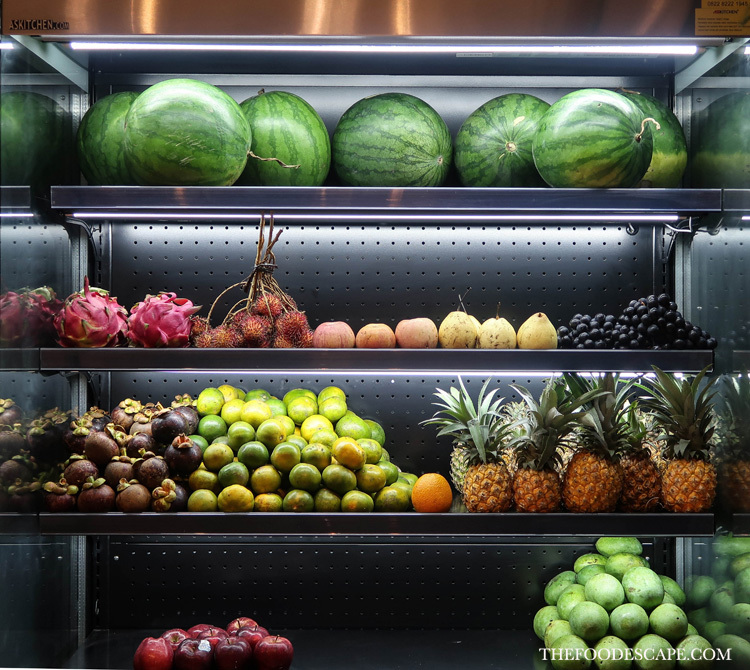 The greatest thing with their outlet in Bali is because they will also use local produce like tropical fruits and everything the island has to offer. 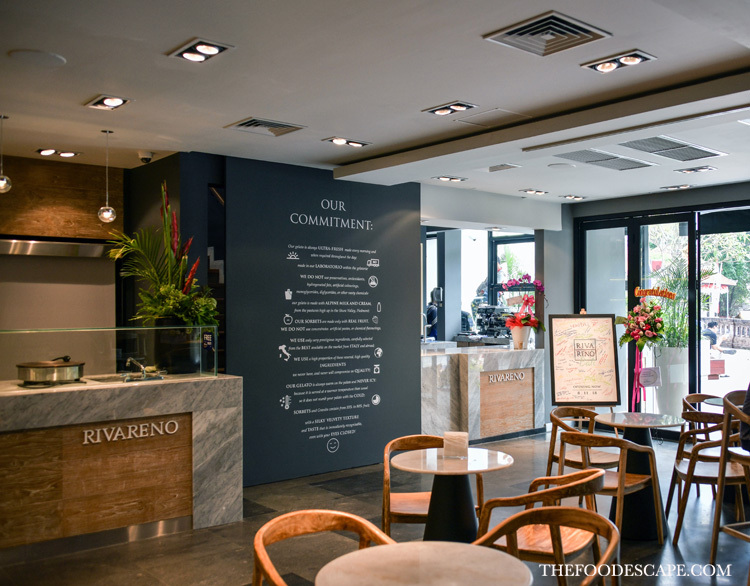 You have probably noticed from the photos that RivaReno doesn’t showcase their gelato like many other shops. 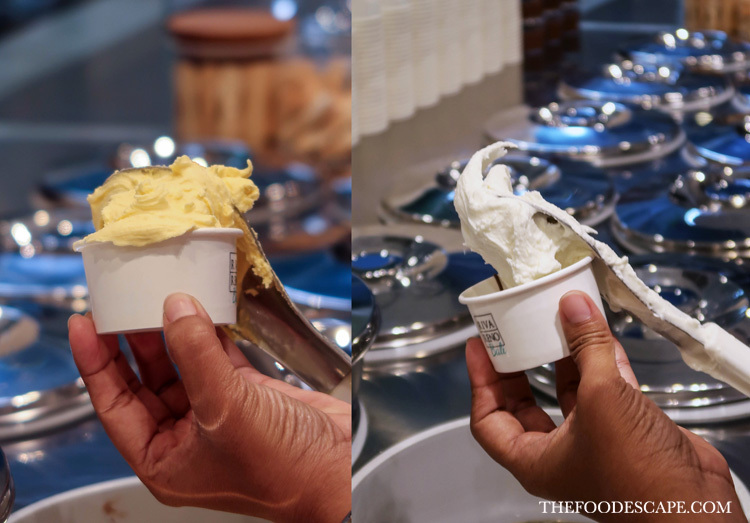 Actually the best way to preserve the gelato is to put them in the carapine gelato containers, just like what they do. 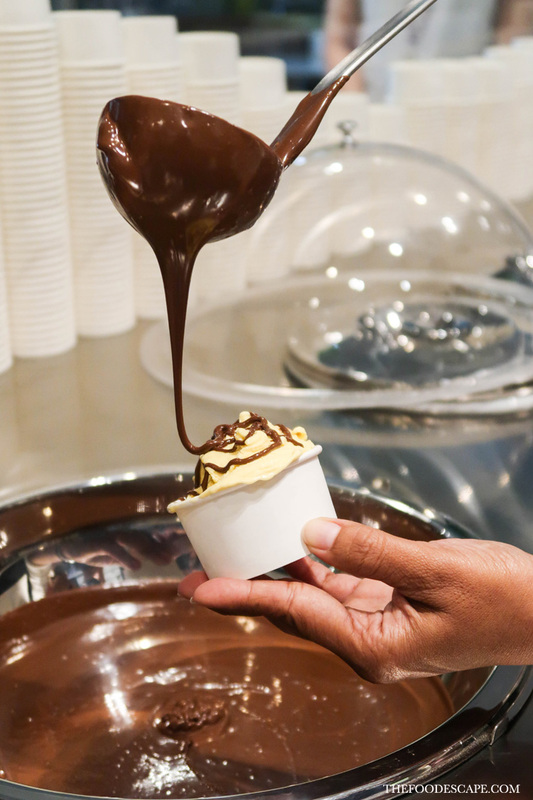 The carapine gelato container keeps the perfect humidity level, keeping the right gelato consistency, not to mention that the covered containers make sure that the hygiene standards are high. 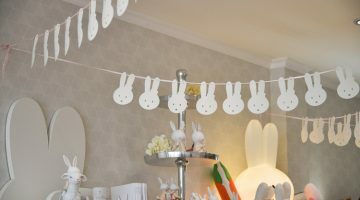 Now, THE BEST PART! One of the perks being a foodie like us is that we got the golden opportunity to join the “Master Class” directly with Mr. Nicola Greco, one of the founders of RivaReno. 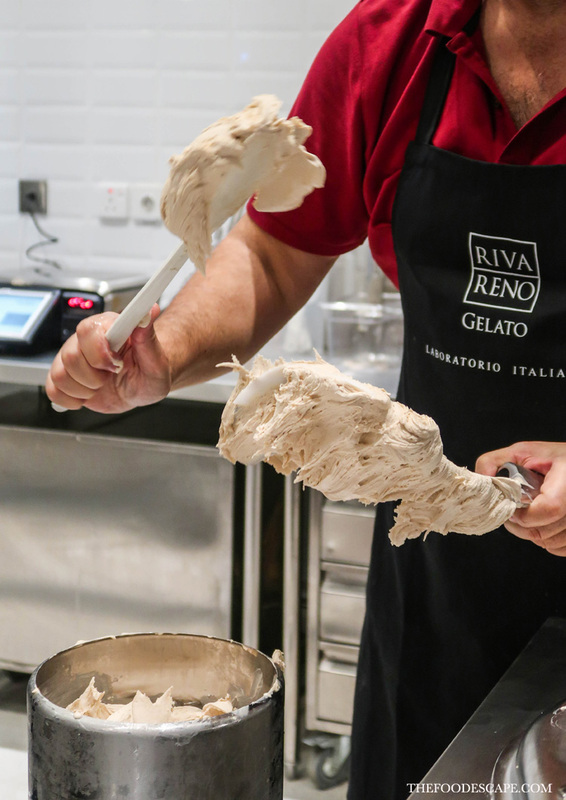 He taught us the principles of making fresh gelato the RivaReno’s way, yes, in their very own laboratorio! The lab is so clean, hygienic and modern. 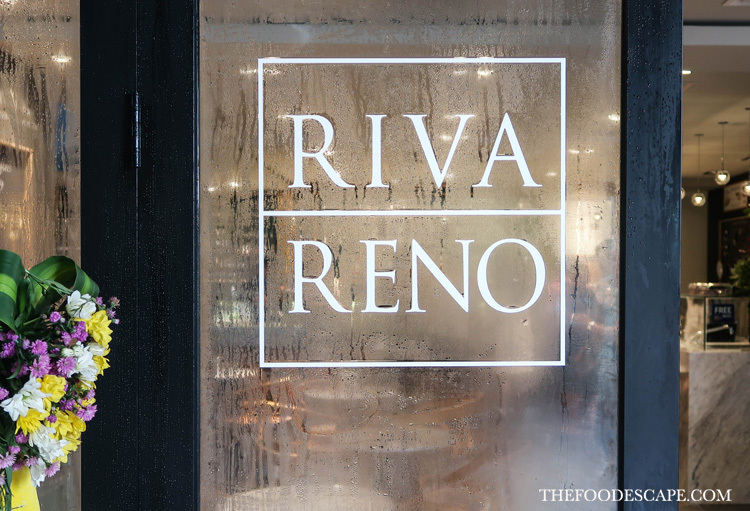 With equipment like Cattabriga EFFE 6B artisan gelato machine, clearly RivaReno puts quality over everything else! 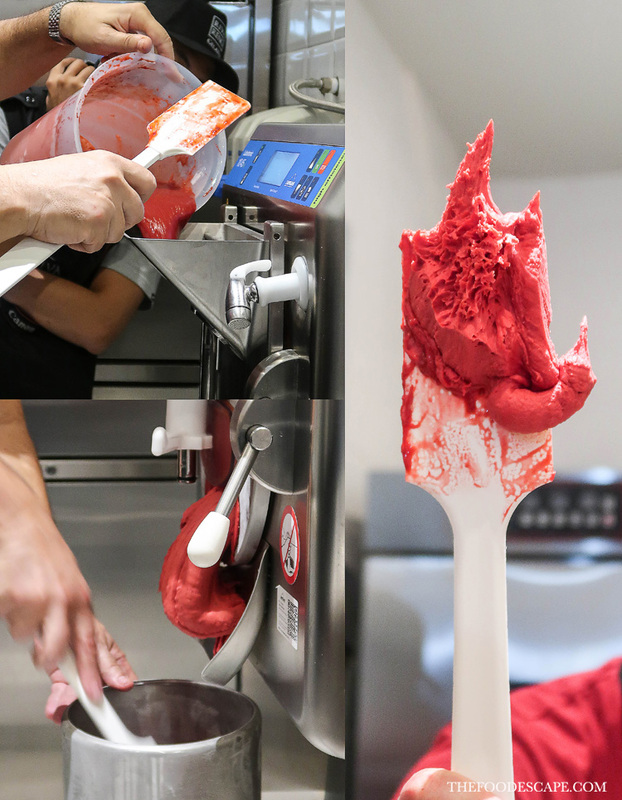 From precisely-set scale that connects the recipes worldwide, to the finest ingredients used in the making, until we got super fresh gelato and sorbets, I witnessed all the process and feel so thankful that I got to join this exclusive once-in-a-lifetime experience! 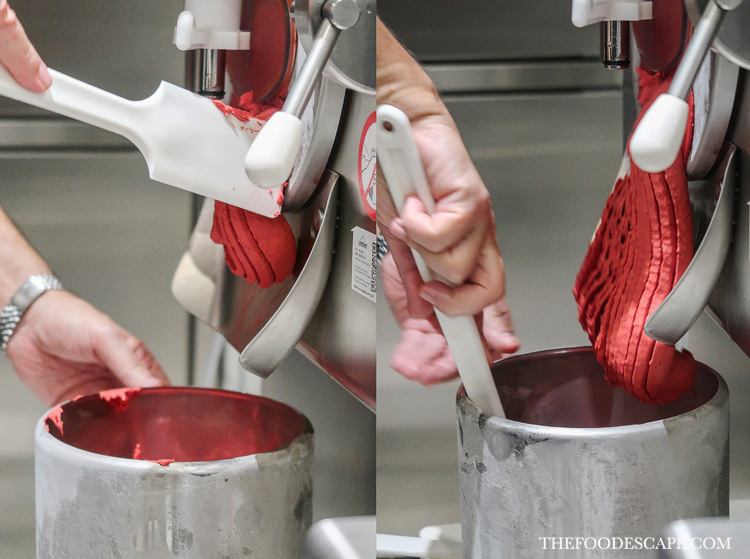 If you are curious, check these photos below as we were making Raspberry Sorbet that day! 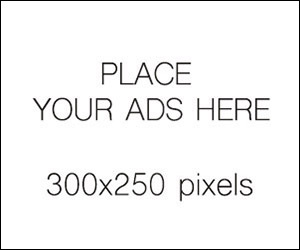 I cringed a little when I saw the result, SO PRETTY!!! 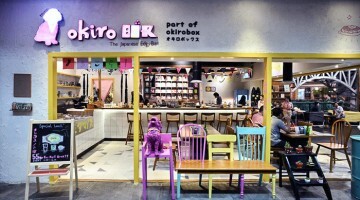 Their sorbets contain of 55% to 90% real fruit, mixed with water, base frutta and later processed in the machine creating a wonderful texture of silky, not icy sorbet, if you know what I mean. Most all the time, I always find sorbets “icy”, just like crushed frozen fruit juice. 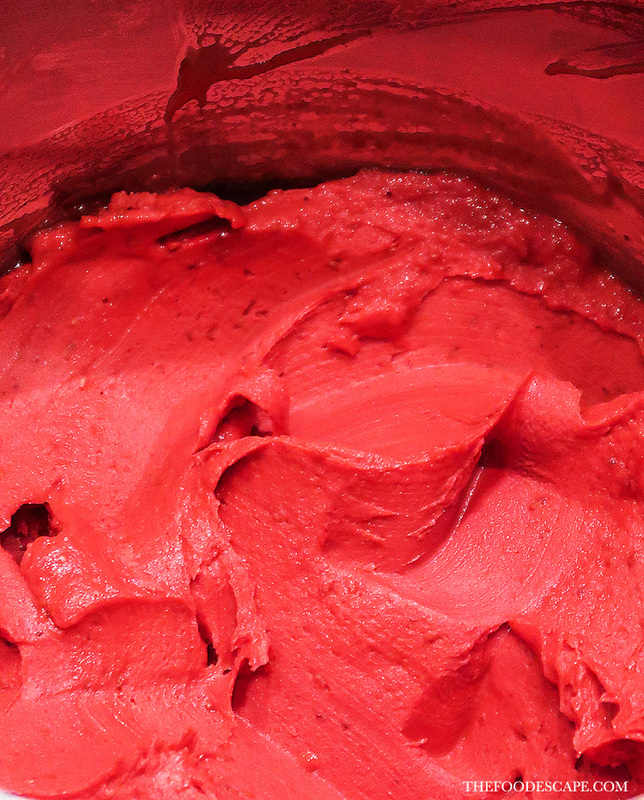 Here in RivaReno, I think it was the first time I actually had a sorbet with this smooth and silky texture it was just amazing. Can you see the velvety texture and imagine how thrilled I was? 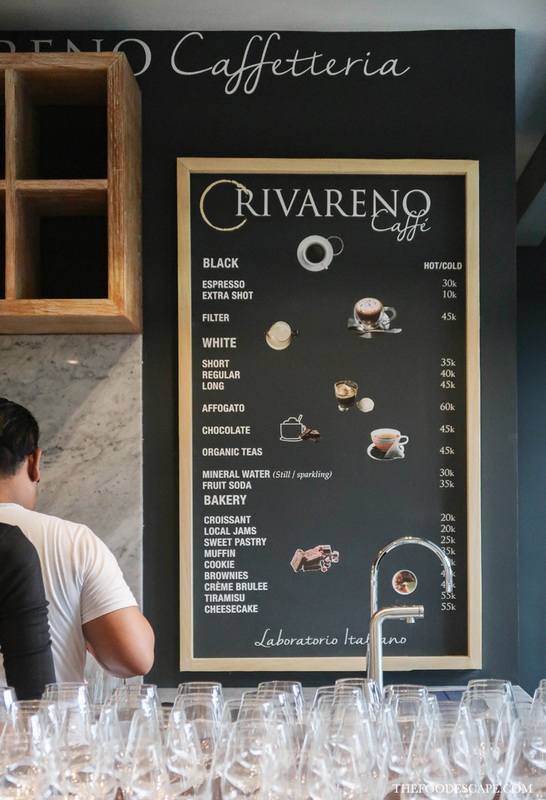 RivaReno’s signature menu is definitely their gelato and sorbets, which you can enjoy in cups or cones with 4 serving size options: S (IDR 50,000), M (IDR 65,000), L (IDR 80,000), and XL (IDR 95,000). 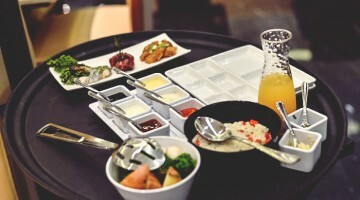 You can also add topping of Chocolate Hazelnut sauce or Amarena cherries sauce for additional IDR 15,000. 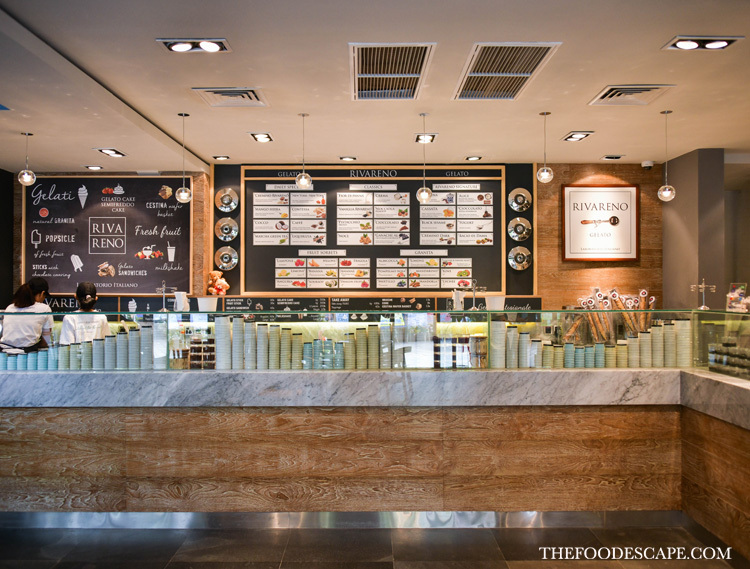 Beside these, RivaReno also have many interesting menu such as Gelato/Fruit Stick, Gelato Sandwich, Gelato Cake, Semifreddo Cake, Milkshakes, even coffee! 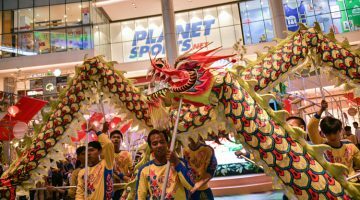 It seems like 3 visits will not be enough for us to explore everything they offer in the store! In case you are wondering what our favorite flavors are, mine would be their Cremino Dark (dark chocolate and hazelnut gelato with layers of intense pistacchio), Crema (Italian egg-based custard gelato), Ananas (using pineapple from Bali), and of course, their Cioccolato (using blend of the best African chocolates), and ultimately, their Pistacchio (using intense pistacchio from Bronte, Sicily). 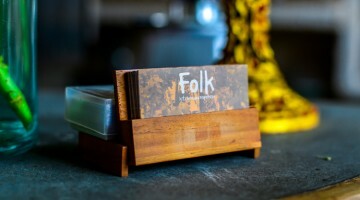 It’s hard for me to choose my favorite flavors because they are all very unique and distinctive, and everything is so delicious! 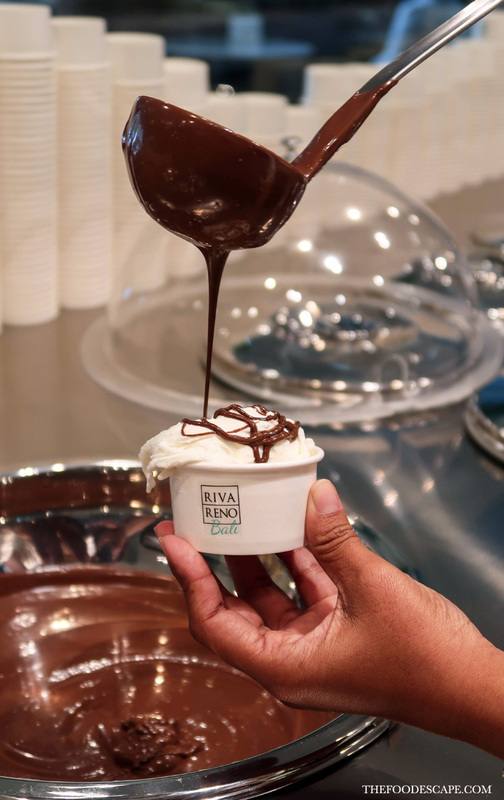 I don’t know why I could miss such a great brand and why in the world I had never tried RivaReno gelato before this. 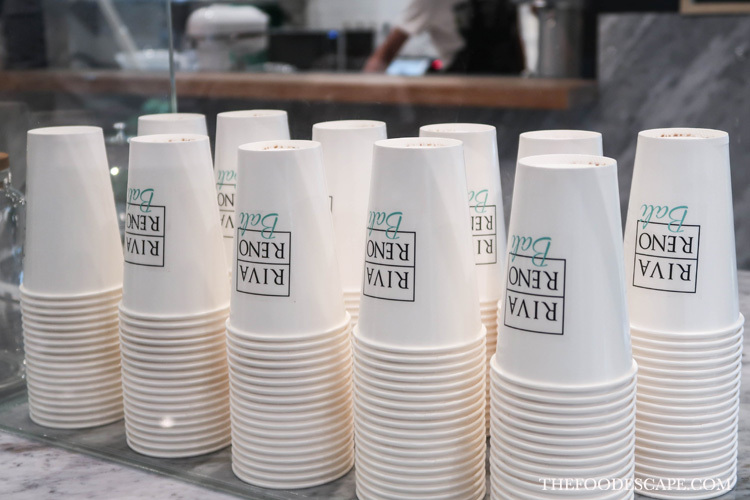 Both I and Mr. K have tried many gelato brands in Italy, and although there are some hits and misses, we had 1 particular brand that we really like upon trying it for the first time in Milan (that brand also has many outlets spread across Italy and many other countries). 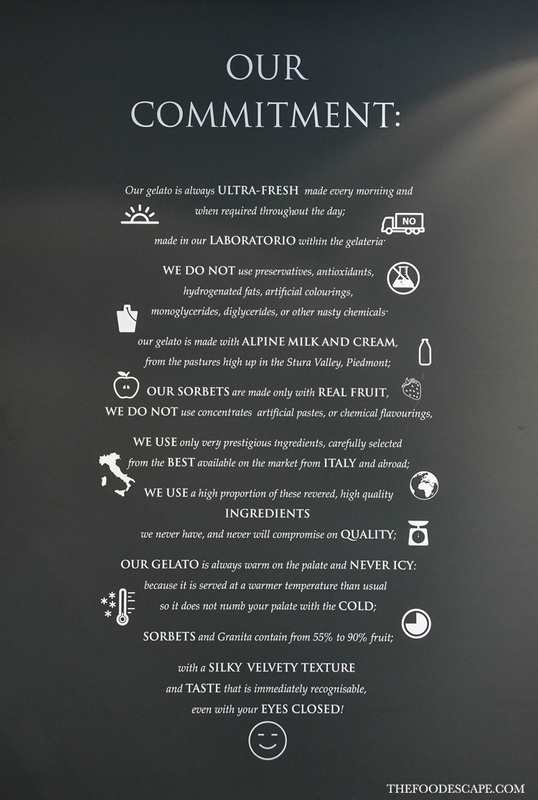 However, we find that RivaReno Bali’s gelato easily won our hearts because their products are REALLY GOOD! 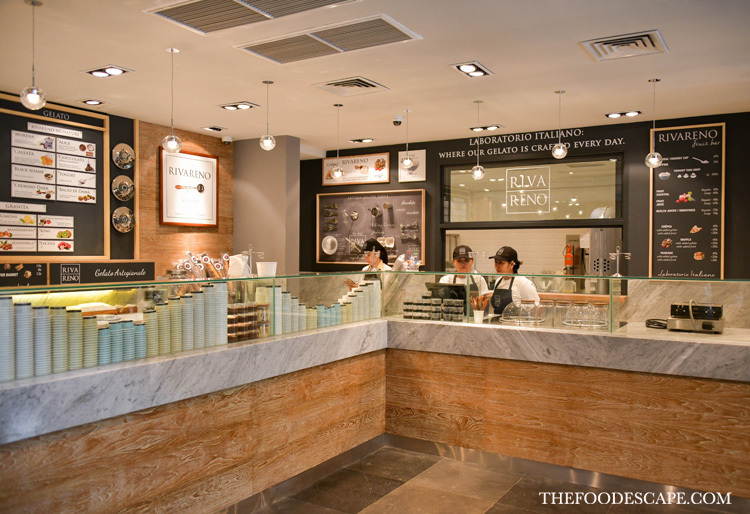 It’s amazing just to think that there is *finally* an authentic gelato shop here in this country, with uncompromising quality and flavor like we experienced in the original country! 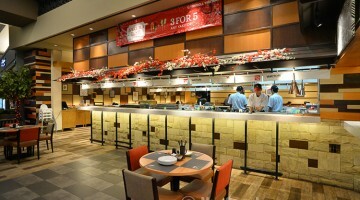 Last but not least, Congratulations RivaReno Bali for the opening and BEST OF LUCK!! 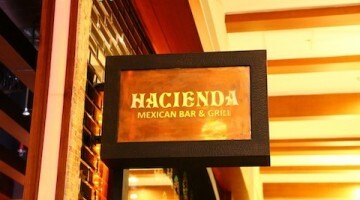 Can’t wait to be back! 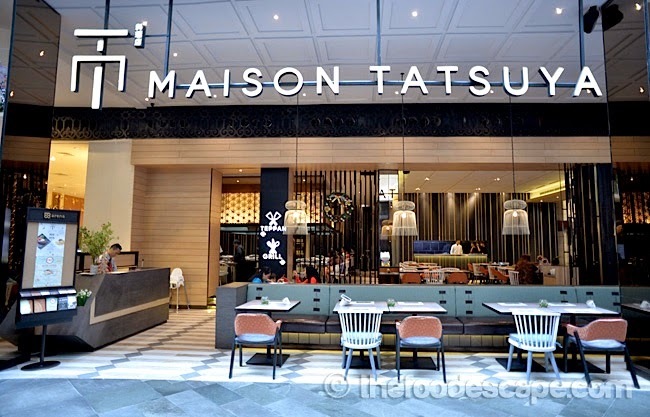 ** This review is written based on our visit on 7 & 9 November 2018.